More than half of UK companies are considering hiring ex-hackers in a bid to get ahead of cyber criminals, according to the latest research from KPMG. A poll of 300 senior IT and human resources professionals revealed that the inability to find people with the necessary cyber security skills is forcing many companies to consider poachers turned gamekeepers. 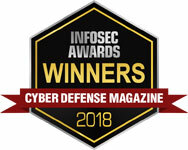 Read why we think investing in a comprehensive security defense and Breach Detection technology that is as easy to use as possible is the solution in article's comment section here.